From the opening title-track and hit-single we understand easily that this is not a full metal album. It is undoubtedly close to melodic power metal, or euro power, call it as you wish, but I find it more of a hard rock album. It seems that Unisonic have followed a guaranteed recipe in their debut full-length. What you will hear is fast-paced, melodic and catchy as hell. The songs are well written, simple, traditionally structured and they sound very commercial (at least most of them). As for the performance of each band member, it is top notch, as expected. The guitars stand out, of course, and the duo Hansen-Meyer does a great job. Riffs, solos, twin leads, they are all in. Hansen, though, seems a bit restrained and he’s not shredding like he does in Gamma Ray, but he still provides with some cool hard rock guitar-work. Kiske’s voice remains amazing, but he stays in his comfort zone throughout the album and away from the high noted he used to hit when he sang for Helloween. As for the rhythm section, it is quite solid, with Zafiriou doing some nice, rhythmic and quick drumming. The progression of the songs is smooth and as a result, “Unisonic” is easy to listen, but it may tire at certain points. As mentioned above, it starts powerfully with the title-track, which is easily the best song of the album, fast, catchy, and with a few Helloween references. “Souls Alive” is another good song, which I picked out right away. The third song, “Never Too Late”, I could only describe it as happy, and “I’ve Tried” sounds a lot like Queensryche. But from this point and on, things change. We have a change in pace, as there are a few slower songs, like “Star Rider”, “Renegade” and “King For A Day”, which has a nice intro, too. And we have a change in the compositions, as most of the songs don’t stand out and they pass without being noticed. 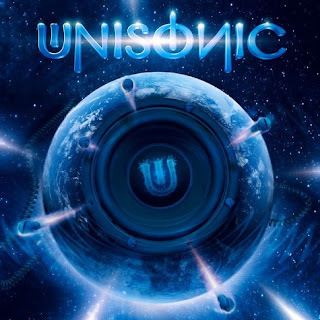 I don’t deny that there are some good moments, “Renegade” is one of them, but the second half of “Unisonic” seems uninspired. Guitar melodies, as well as vocal lines, are repeated sometimes. The closing of the album comes with the ballad “No One Ever Sees Me”, which has nice melody and nice lyrics, but I would prefer it somewhere in the middle and not in the end of the tracklist. All in all, Unisonic have released an adequate album. It is well written and enjoyable, but it has nothing more to offer. My guess is that it will soon be replaced by another, maybe better album of this genre. But here we are talking about Kiske and Hansen. Their potentials are much higher than that. It will be very interesting to see how they will carry on.